home / Brisbane West Builder / Ipswich Investment Properties – Why Invest in Ipswich? Ipswich Investment Properties – Why Invest in Ipswich? There’s no better time to invest in Ipswich! Ipswich is Queensland’s oldest provincial city and the times just keep getting better for this major population hub located 40k west of Brisbane. Figures show Ipswich among the top three largest and fastest growing regions in Queensland. 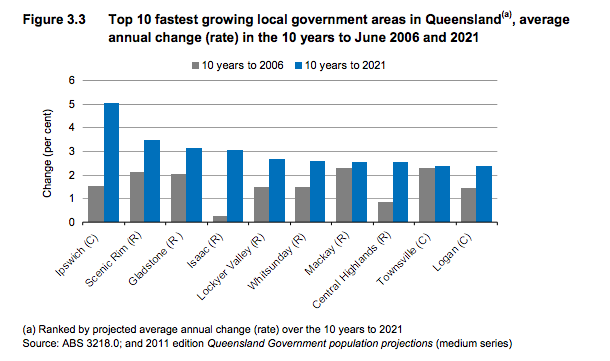 Ipswich is projected to be the fastest growth region in Queensland with an annual growth rate of approx. 4.6% pa compared to Queensland’s state average of approx. 1.7% (OESR). By 2026 the local Ipswich economy is projected to be worth $12.7 billion. 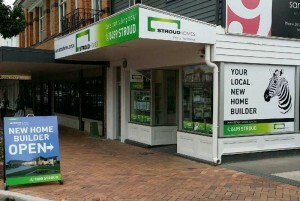 It’s a great time to put your money into Ipswich investment properties. Ipswich is currently enjoying a period of major change and growth in industrial and commercial developments. This opens enormous opportunities for employment and business alike with the Ipswich City Council committed to development and growth in both jobs and population. Amberley RAAF has long been associated with Ipswich and with a 1.1 billion dollar expansion of the RAAF base this bond is set to be strengthened. The expansion means that a further 2000 new staff will work from the base and call Ipswich home. This level of growth creates an urgent need for additional housing stock in the Ipswich region. Projections indicate up to 143,000 new dwellings are required in the next 24 years. That’s 5,978 dwellings per year! An undersupply of dwellings to own or rent is pushing the value of Ipswich investment properties higher. Currently rental vacancies sit at 2.2% which is below Australian average with rental yields at 5.3%. This above average rental yields mark Ipswich as a real property investment hotspot. Check out this selection of House and land Packages designed specifically with you the Ipswich property investor in mind. Also browse our Frequently Asked Questions for investment information relevant to Ipswich.